There are about 400 pages of information on this site so it can be difficult to find your way around. If you know what you are looking for, try using the FIND box at the top of the right-hand column on this page which will search within this site. 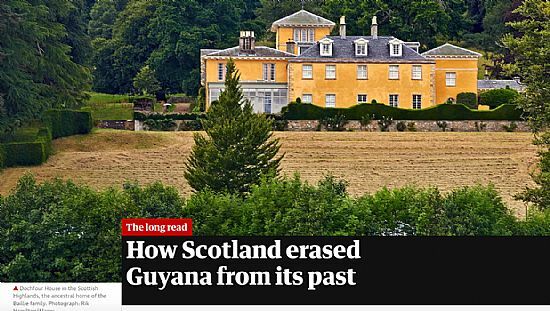 The Long Read in The Guardian (16 April 2019): Yvonne Singh 'How Scotland erased Guyana from its past'. 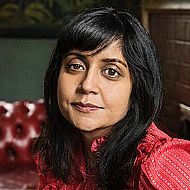 This is an edited version of 'The Forgotten World - How Scotland Erased Guyana from Its Past' by Yvonne Singh, published online on Commonwealth Writers' adda (a gathering of stories). In Cromarty’s graveyard, the mid-morning sun slants across the gravestones pockmarked with moss and lichen, illuminating the faint inscriptions. The statue of Hugh Miller, the town’s famed geologist and writer, perched Nelson-like on top a high column, overlooks the scene. I read the carved words on one crumbling grey stone that has sat in this cemetery for more than 150 years. It says: “John Munro late of Demerara.” Less clear is Berbice on another stone . . . One truth remains: however hard we try to erase our past, it has a habit of not staying buried for long. 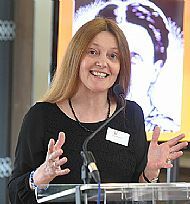 And in 2018 Gerda Stevenson's Quines: Poems in tribute to women of Scotland (Edinburgh, Luath Press) includes Eliza Junor in the 68 women to whom she gives a voice. Eliza (born 1804, Demerara, died Fortrose, 1861) was the daughter of Hugh Junor, slave owner from the Black Isle, and an unknown mother, probably a slave, or a ‘free coloured’ woman. She won a prize for penmanship at Fortrose Academy. The poem, with the title 'Demerara', is available on the Scottish Poetry Library site. Go to this page for more about the life of Eliza Junor. Radio Scotland 17 February 2019: Scotland and Guyana - a 30 minute documentary with David Alston, Nick Draper, David Dabydeen and others - and featuring the poetry of Sorley Maclean. Thanks to Dan Harris-Vajda, Arlen Harris and the team. 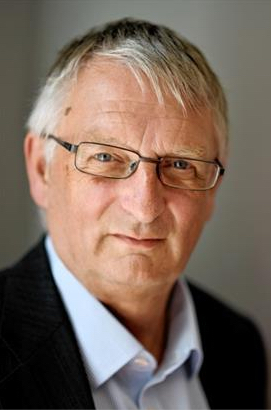 November 2018: David is a contributor to BBC2 Scotland's two-part documentary Slavery: Scotland's Hidden Shame. Also in 2018 . . . 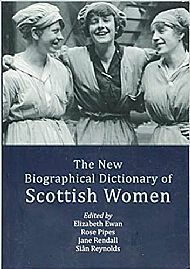 I contributed an entry for Harriet Balfour, a freed slave from Suriname, to the New Biographical Dictionary of Scottish Women (EUP, 2018). May 2018 - New publication: 'Scottish Slave-owners in Suriname: 1651–1863' in Northern Scotland, Volume 9. Cait Gillespie's master's thesis The end of amnesia? Scotland's response to the 2007 bicentenary of the abolition of the slave trade and the quest for social justice can be read online at Leiden University Repository. 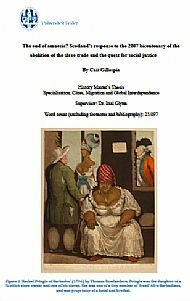 Cait considers Scotland's response to the 2007 bicentenary of the abolition of the transatlantic slave trade, in the context of memory and museum studies, and includes a detailed study of Cromarty Courthouse Museum's 'Slaves & Highlanders' exhibition of 2007/08. 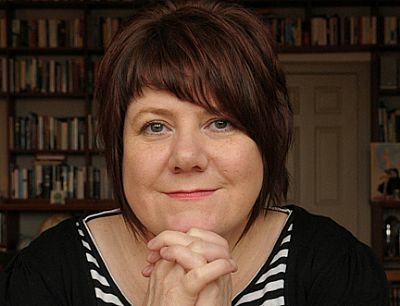 I’ll end, though, with an event featuring a historian – and a history – who and which are far less well known. Before going in to David Alston’s talk about the involvement of Scots in the slave trade, I had thought that it was all so long ago that the question of reparations no longer arises. Quietly, dispassionately, and concentrating on Highlanders’ involvement in the slave plantations in Guyana, Alston picked apart that certainty. Tracing the reparations paid to compensate slave owners in 1834 – proportionately a bigger sum even than the 2008 banks’ bail out – he showed how Scots at all levels benefited from slavery, but how we still collectively ignore this, perhaps even more so than in England, “because it doesn’t fit with the narrative of our own victimhood”. Index of 620 people with connections to the Highlands and plantations in Guyana. Or try using the FIND box at the top of the right-hand column on this page which will search within this site.